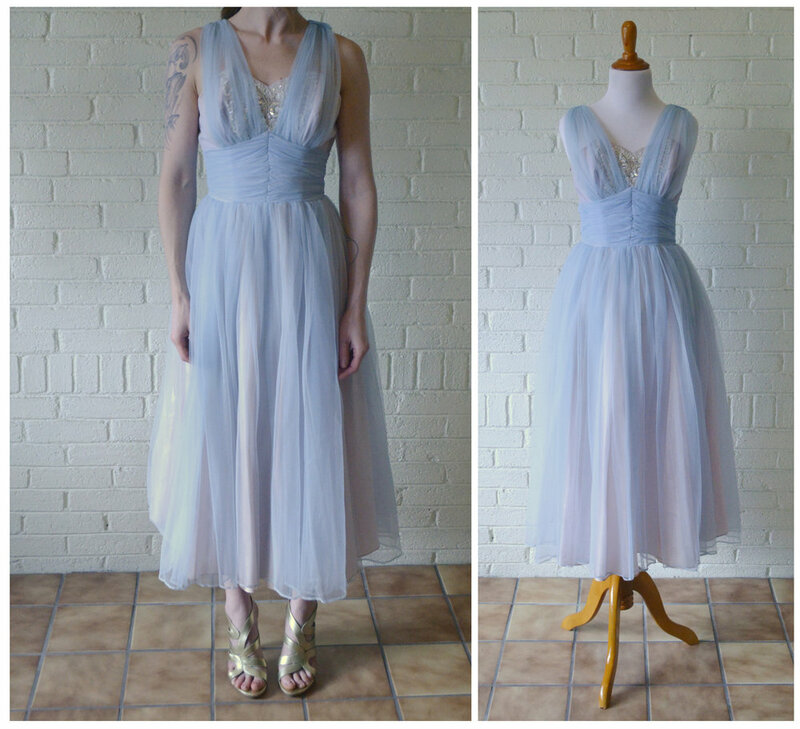 Delicate, feminine, and designed for twirling, this darling number is a 1950s prom dress dream come true . . . I invite you to scroll down to see images of the 1950s Sequin, Tulle, and Taffeta Party Dress in greater detail. Materials: Taffeta and a synthetic overlay, perhaps nylon or polyester, with sequin and beading detail on the bodice. There is also a layer of tulle under the taffeta skirt. Colors: Soft pink underlay with baby blue overlay. Closures: Single back zipper with a hook-and-eye closure. The structured, boned bodice, with narrow waist, and full skirt (you could also add a crinoline to really fill it out), create a quintessential 1950s look. Two lovely trails of fabric lead off the back shoulder area, where the sleeve hem meets the bodice. There is the slightest staining under each arm, but it is extremely hard to notice when not looking for it and perhaps even tougher to notice when worn. 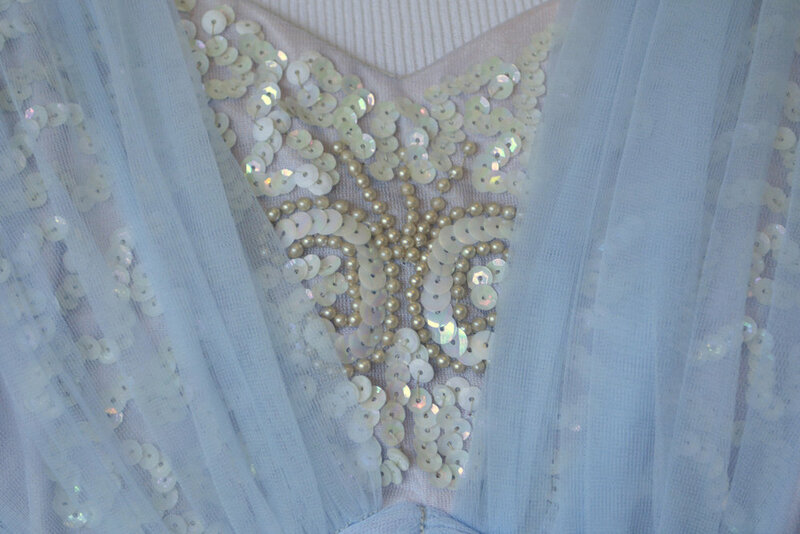 The baby blue overlay has little nicks throughout. Given the way it drapes over the pale pink taffeta, they are not too noticeable when worn. The edges of the back trains are unfinished.